This long-awaited fourth stage will see enhancements to the Health & Wellness areas, including all spa facilities and treatment suites, the Bathing Pavilion, Niranlada Medi-Spa, and the resort’s seaside restaurant, the Taste of Siam. The work will complete the ‘top-to-toe’ renovation of this highly respected resort, its first in 24 years of operation. Priding itself on being at the forefront of the wellness industry, Chiva-Som is famed for its world-class facilities. The Health & Wellness area will be completely refreshed to offer more light and air, providing a more generous guest waiting area and replacing the receptionist desk with attractive, space efficient counters. Parquet flooring guides the eye into the refreshed space, whilst the consultation room used for mind, body, and spirit assessments will be renovated solely with the guest experience in mind. This will be supplemented by refined Spa & Physio treatment rooms, hydrotherapy suite and flotation chamber. All will be re-imagined with Chiva-Som’s new signature interiors: teak, Thai silk, and bamboo complemented by a light colour palette of natural hues to create a contemporary, comfortable and calming environment. The Bathing Pavilion, set around the beautifully calming indoor pool that’s used both individually and for group sessions, will be redesigned to incorporate a sun bed area at one end under a glass roof. There will also be a brand new hydro pool that will deliver new hydrotherapy functions; alongside this the latest steam room equipment plus a larger private changing room with a newly added make-up counter will be welcome additions. The Kniepp and plunge zone, a centuries-old healing therapy used to prevent and treat acute and chronic conditions, will retain its traditional charm. The Niranlada Medi-Spa evolves from its original clinical design to become a warm, luxurious and relaxing oasis, home to the very discreet facial analysis room, various treatment rooms and a make-up room for guests requiring a little extra pampering. A relaxed spot for all day waterside dining, the outdoor Taste of Siam menu offers Thai and signature international wellness cuisine created using the culinary team’s renowned wellness cuisine techniques. As a response to its eternal popularity, the space will be reconfigured to accommodate additional seaside tables seating up to 100 guests. Sliding glass doors coupled with an extended roof will ensure guests can enjoy the beachfront setting come rain or shine. A professional stage will be a permanent fixture for musical entertainment at the much-loved regular Saturday barbecue under the stars and special events throughout the year. The open kitchen will be brought indoors to create a casual, interactive dining experience, whilst an improved layout ensures guests will always enjoy uninterrupted sea-views. This highly anticipated refurbishment is being overseen by Chairman and CEO of Chiva-Som International Health Resort, Mr. Krip Rojanastien, who together with Designrealization Siam Co. Ltd, one of the world’s most respected architecture firms, has developed a new take on Asia’s much loved classic architecture. The resort may be temporarily closed, but the wellness journey is still ongoing as the dedicated Chiva-Som specialists continue to guide and share their expert knowledge through a series of short videos & posts on the resort’s Enewsletter The Wellness Journal, Youtube channel and social media accounts @ChivaSomResort. The resort will also continue with its key community activities throughout the closure, which include the maintenance of the Krailart Niwate mangrove ecosystem and visiting and providing goods and treatments to local communities. A trailblazer since its inception in 1995, the modern, fresh incarnation of Chiva-Som International Health Resort will continue to provide an unprecedented approach to health and wellness for many years to come. 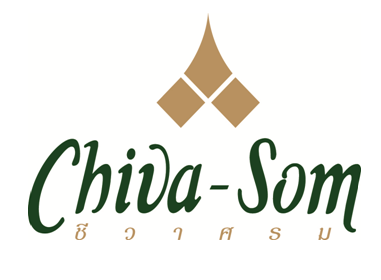 For Chiva-Som bookings in Australia contact your travel agent or a Chiva-Som Specialist on 1300 857 437. For bookings outside of Australia contact your travel agent or a Chiva-Som Specialist on +61 2 8296 7077. Chiva-Som Hua Hin is Asia’s first comprehensive wellness resort, providing proven transformations towards optimal wellness. Nestled in seven acres of tranquil grounds, it’s a beachfront resort dedicated to revitalising the mind, body and spirit (represented by its tri-part logo). Western practices and Eastern philosophies are brought together in the wellness resort which provides services for guests to develop healthy habits and lifestyle transformations; it has been recognised by readers and industry experts alike as one of the most outstanding wellness resorts in the world since its launch 24 years ago. The Resort is committed to operating at the world’s highest environmental standards in all levels of operation. Since its launch, the Resort has been dedicated to operating as ethically and sustainably as possible. A dedicated CSR team has implemented many initiatives, policies and practices for energy efficiency and conservation, waste water treatment and reuse, fresh water conservation, waste minimisation and recycling, air quality management and environmentally friendly product usage. The beachfront resort is located in the town of Hua Hin, which lies 185 km south of the capital of Bangkok. It can be reached by car in under three hours, private plane in 25 minutes from Bangkok and chartered helicopter in 40 minutes from Bangkok.